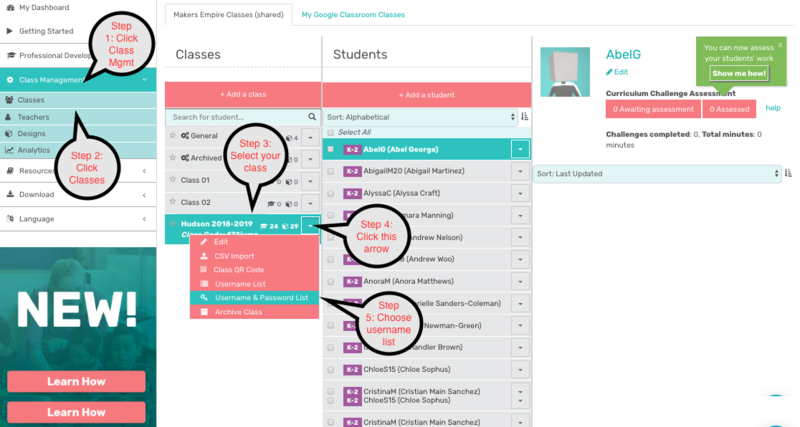 Create accounts for younger students by using a template. 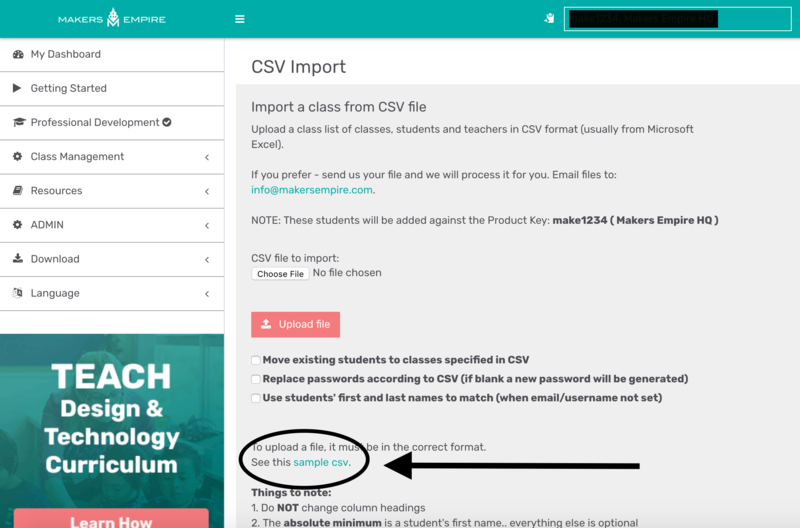 Setting up students accounts using .csv eliminates the need for students to have to choose a username, classcode, and also enter in their name. This is a good option for younger students K-5. Please note: They will need to enter in there username and password the next time they log in. 4. 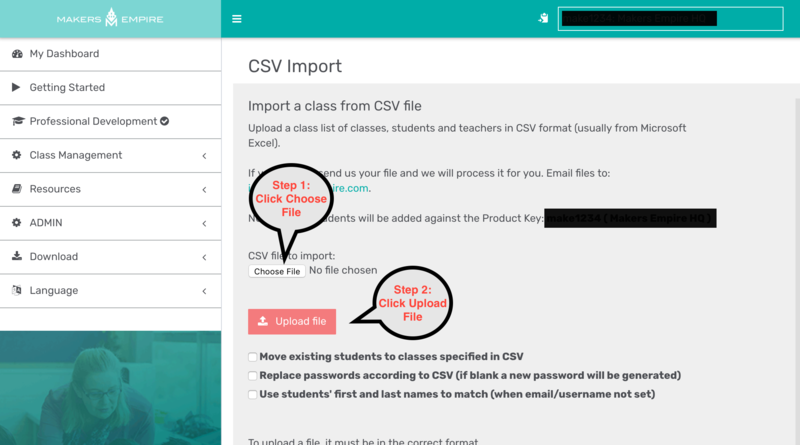 Once you click on the CSV Import you will arrive to this screen, click on the "sample csv" and save it to your desktop. 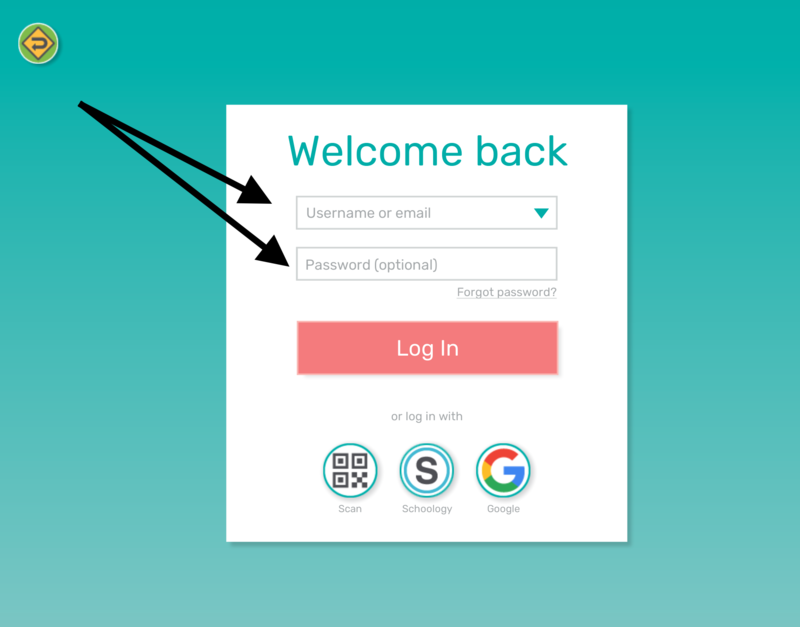 6) Once you've downloaded the username and password list you can print it and hand it your students. 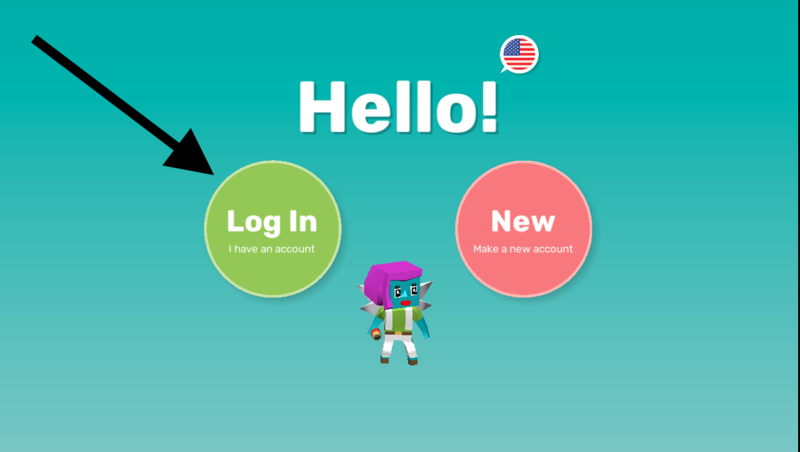 Go to the 3D Design App and click "Log In"